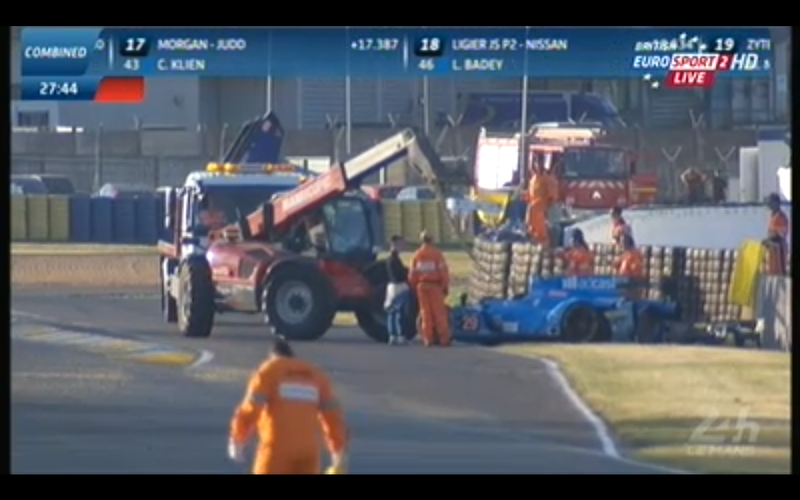 Le Mans qualifying was red-flagged for 45 minutes as the #71 AF Corse Ferrari went off at the Porsche Curves. No word on injuries but the driver was taken to the medical center. Then they restarted and three more accidents happened in close succession. No word on injuries, but despite the clear weather it's been crazy out there.